Fentanyl is a synthetic opioid 50 to 100 times stronger than heroin and according to Attorney General Jeff Sessions it's the "number one killer drug in America." According to the Drug Enforcement Administration, nearly all of the fentanyl in America is from Mexico. NEW YORK -- The middle-aged couple in the station wagon went shopping at a New Jersey Walmart on a warm night in August. They stopped for dinner at an IHOP on the way home. And when they arrived at their apartment building in a quiet residential section of Queens, the narcotics agents following them got a warrant to go inside. They found several suitcases loaded with brick-shaped bundles of what appeared to be heroin. 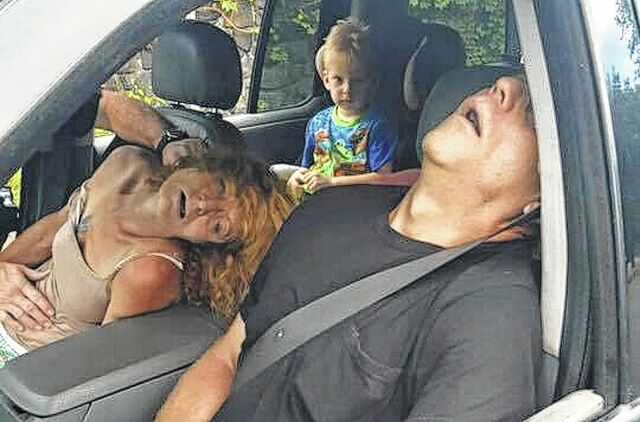 But lab tests determined that most of it -- 141 pounds -- was pure fentanyl, a synthetic and supremely dangerous opioid 50 times more powerful than heroin. 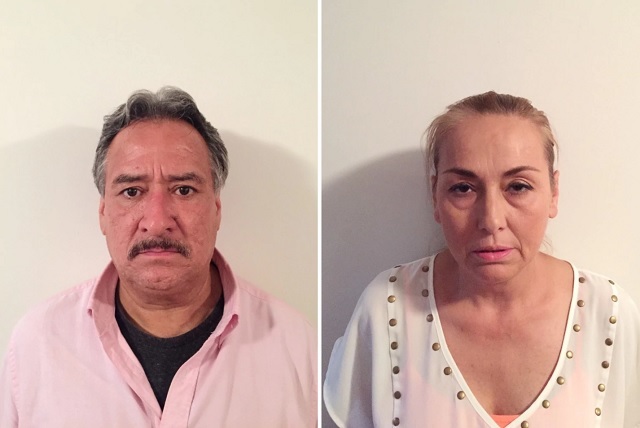 The married couple who were arrested, Rogelio Alvarado-Robles, 55, and Blanca Flores-Solis, 52, had no criminal record in the United States. They had flown to New York a few weeks earlier with Mexican passports. They had no weapons. But they were drug cartel emissaries, investigators said, sent to broker the sale of tens of millions of dollars' worth of narcotics, like pharmaceutical executives on a business trip. DEA agents say recent arrests reflect an emerging pattern, as�Mexican trafficking groups �attempt to turn New York City into their Northeast distribution�hub.�They operate with �quasi-corporate sophistication and an inconspicuous, transient presence, sending sales teams to deliver staggering quantities of drugs and then quietly disappear. 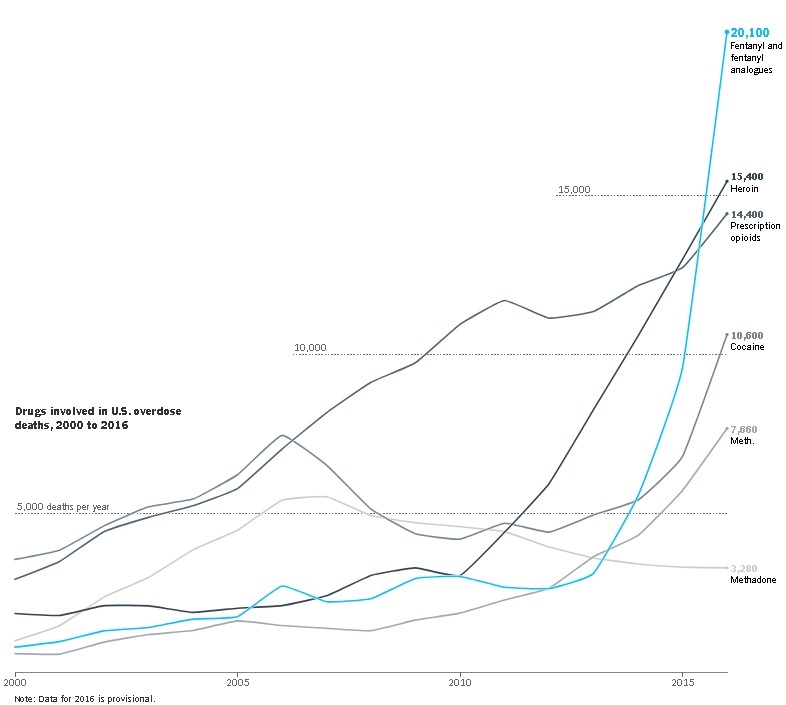 "The cartels realize that fentanyl is much more profitable than heroin," said James Hunt, head of the DEA's New York Division. [...]Mexican traffickers are sending fentanyl through the U.S. interstate highway system, not the postal service, and in quantities that dwarf the amounts arriving in envelopes. 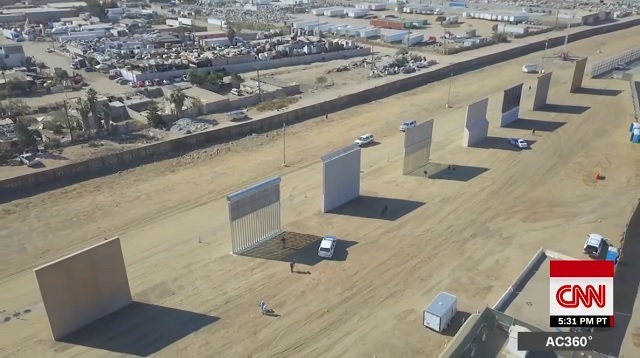 They smuggle it across the border in fake vehicle panels or commercial loads of produce, furniture, auto parts and other cargo, driving it across the country from California and Arizona. The Sinaloa cartel is just one of many Mexican cartels. The other 20%, or 19% to be conservative, is coming from other Mexican cartels. The Los Angeles Times' liberal writer Sam Quinones documented in his book "Dreamland" how all the heroin in America is also coming from Mexico. Quinones said he used to believe the drug issue was a "demand problem," but studying the subject made him believe it's actually a supply problem, because our country is being flooded with dirt cheap Mexican heroin. 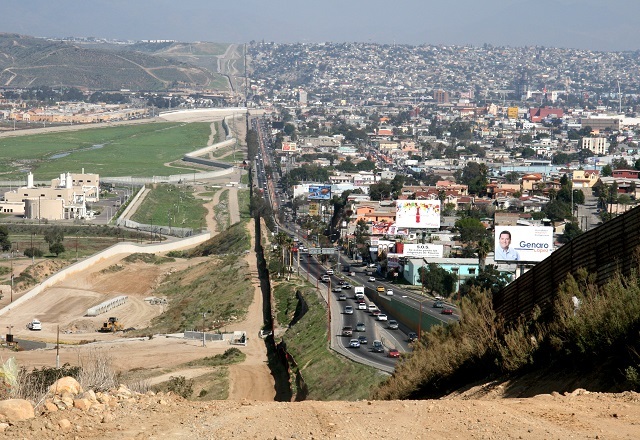 Earlier this year, Mexico's Former Secretary of Foreign Affairs Jorge Casta�eda Gutman suggested Mexico should stop "cooperating" with the US on fighting to keep their drugs out of America because Donald Trump is ending our two countries "friendly relationship." 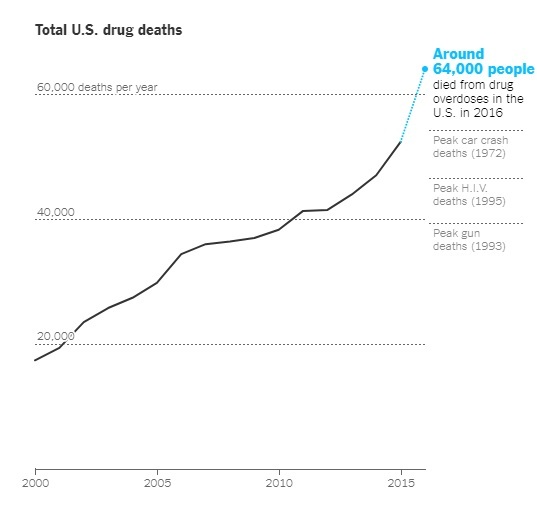 Seeing as how deaths from fentanyl and heroin have skyrocketed, it appears the Mexican government has been following Gutman's plan. No cost is too great.